I have been living in the magnificent city of Vancouver for over a year now! I often get asked, about what to do in my city, so I created a top 10 of places to visit in Vancouver. I hope it will make you want to come and see these beautiful snow-covered mountains in the winter, which turns out to be great hikes during the summer. Or simply to enjoy the beach and to admire those breathtaking views. Gastown is a charming and unique neighborhood of Vancouver. In fact, it’s the first ever neighborhood of Vancouver and that’s where it all begins! There’re many things to do in Gastown, such as wandering the streets, shopping in the cute stores and eat at many restaurants. I highly recommend Ask For Luigi, if you have a good budget. I love this restaurant for their handmade Italian pasta, their cozy ambiance and their awesome Italian wine selection (you know how much I love wine! 😉 ). As well, make sure to try out their pine nuts filled meatballs and their succulent chocolate dessert, which are to die for! There is also the restaurant L’Abattoir that’s worth a detour. They serve refined French dishes and the Frenchie here loves that! 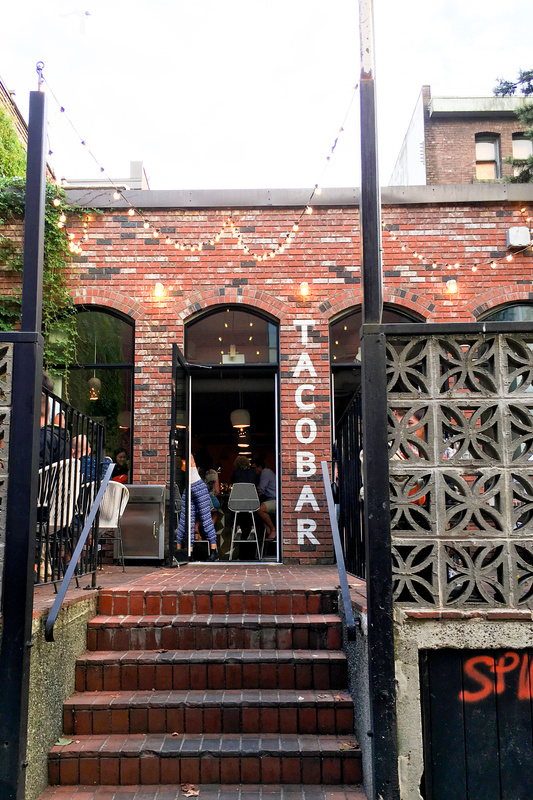 If you’re looking for more of a budget-friendly restaurant, I highly recommend Tacofino, for its delightful tacos and their tasty cocktails. Another of my favorite place in Gastown is Meet. A fully vegan restaurant with super affordable dishes. Everything is so tasty and so delightful. I was even impressed by how much some of the dishes looked like meat, without actually being meat. Plus, their poutine is one of the best I had in Vancouver. If you’re only looking to have a drink, I recommend going to the Flying Pig or even the Alibi room for their happy hours. Let’s go towards downtown Vancouver, for a mandatory stop at Canada Place. This iconic building of the city of Vancouver is, in fact, a convention center, a hotel and the home of FlyOver Canada. 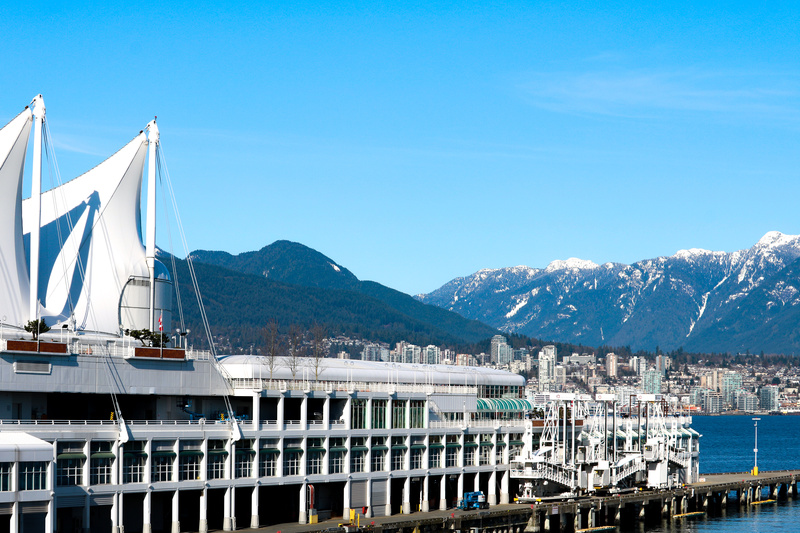 You visit Canada place, to take awesome pictures of the building that looks a lot like a sailboat with its roof made of multiple pieces of white fabric, which overlooks North Vancouver and its impressive mountains. It’s a must see if you wish to admire one of Canada’s most beautiful landscape and iconic building all at once! A few steps away from Canada Place, you can find the famous Olympic flame. Following the 2010 Olympic Games, the flame has become one of Vancouver’s must-see. I would have loved to be there during the 2010 Winter Olympics. Vancouverites still talk about their memorable time! You can’t visit Vancouver without stopping by Stanley Park. It’s the 3rd largest urban park in North America and one of Vancouver’s most beautiful green spaces. 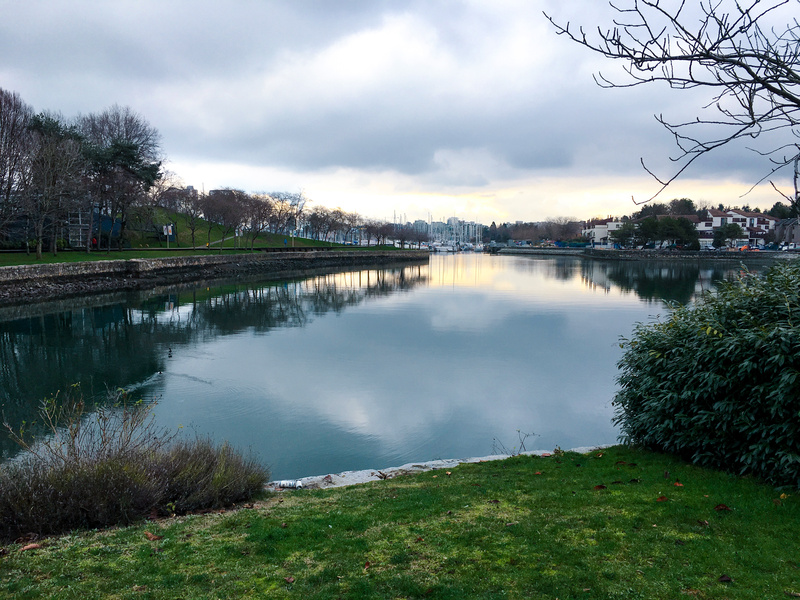 The park is located by the water, which makes the experience even more enjoyable. The park has a great cycling path that goes from one side to the other. 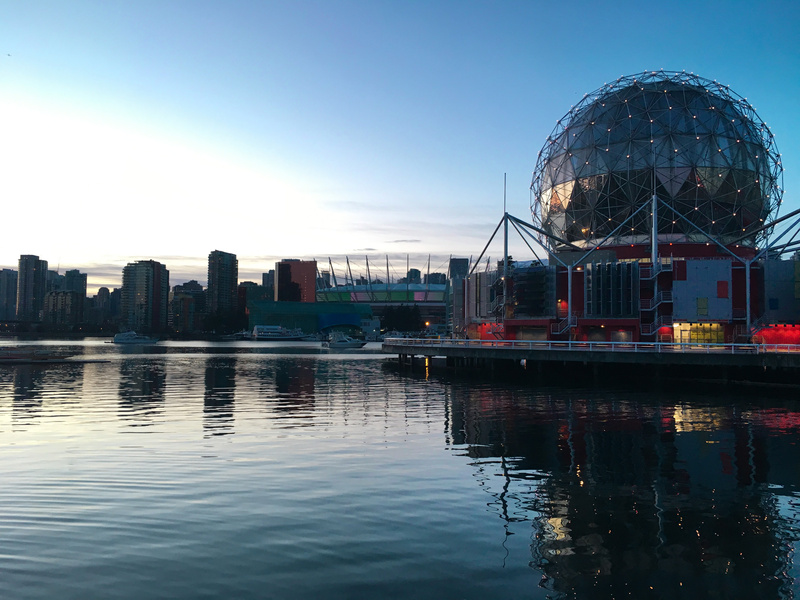 While going around the park, you can stop for some chill time at the beach, or if you feel like being surrounded by animals, you can visit Canada’s largest aquarium. 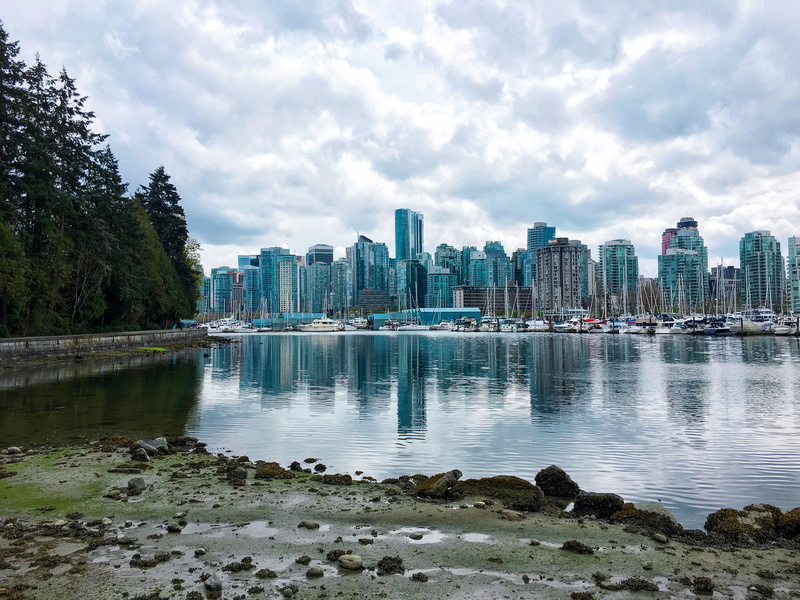 The Vancouver Aquarium is located inside the park, it also serves as a rescue center for animals and it’s the perfect place to admire some of the ocean’s most beautiful fish. 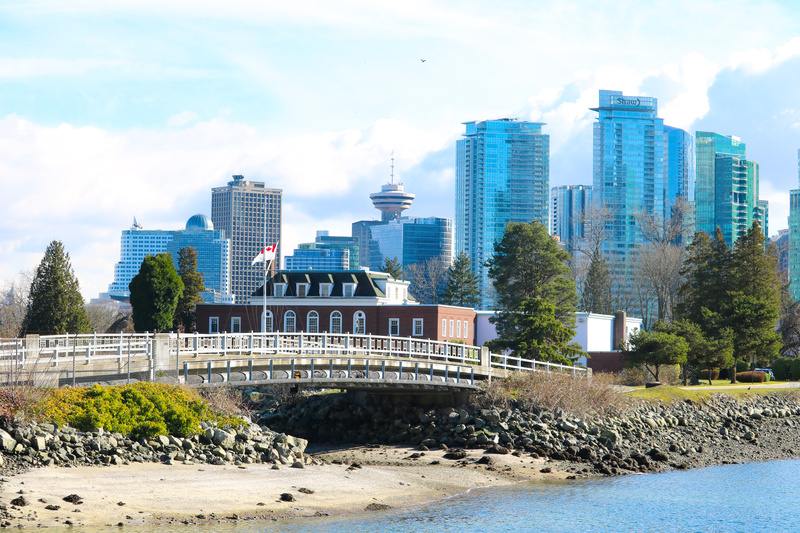 As you’re already visiting Stanley Park, I suggest you go for a long walk on the Seawall which is located on the edge of the Park. 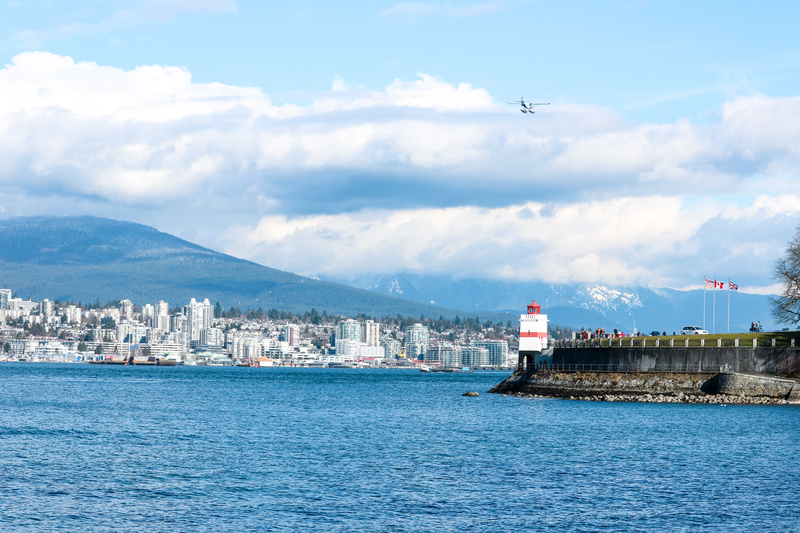 You can admire the many views of the city of Vancouver which are breathtaking. Looking at the ocean, with the city in the background and the massive mountains behind, it makes for a breathtaking view. I don’t think it gets any better than that! Another sight of Vancouver; Granville Island. It’s like a small ocean-side fishing village with several local food stores and the Public Market. 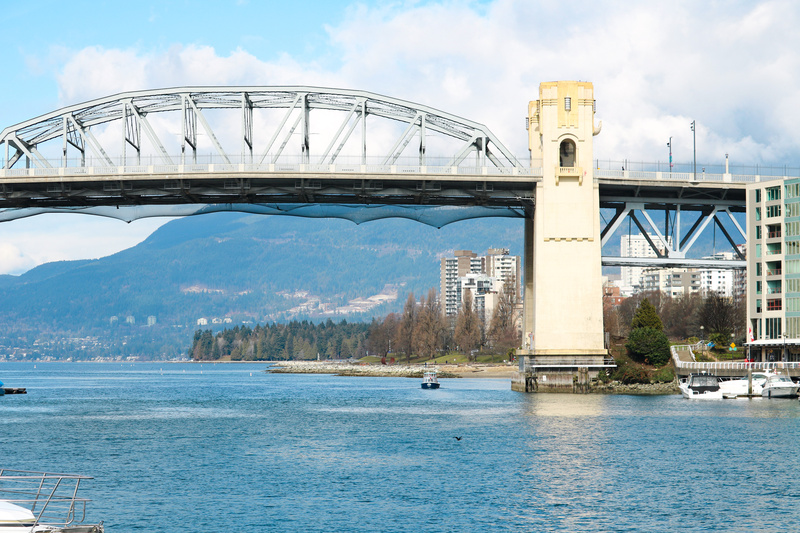 You visit Granville Island to admire the charming streets, to shop and to visit the Public Market. I recommend you stop at Lee Donuts, for a fresh out of the fryer donut stuffed with goodness. You should also stop by Granville Island Brewery for a beer tasting and some food. 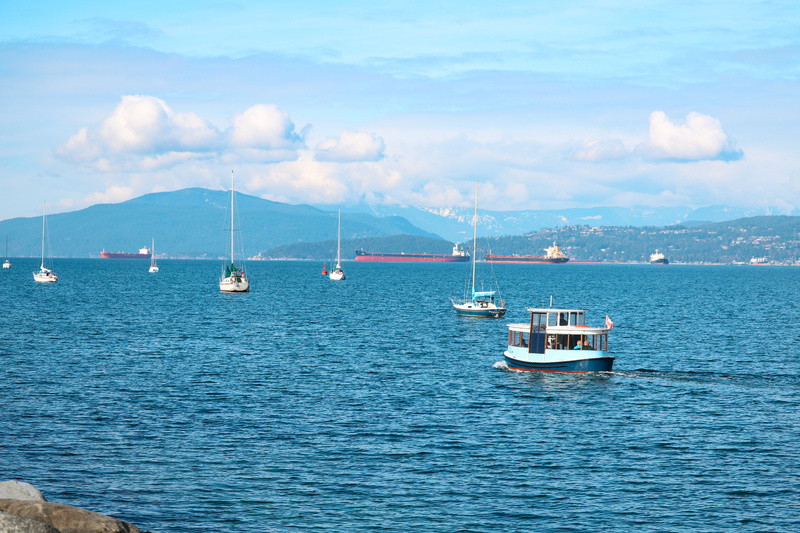 There is also a cycling path that goes from Granville Island and all the way to the Vancouver Maritime Museum, which is worth the detour to admire breathtaking views of the mountains. 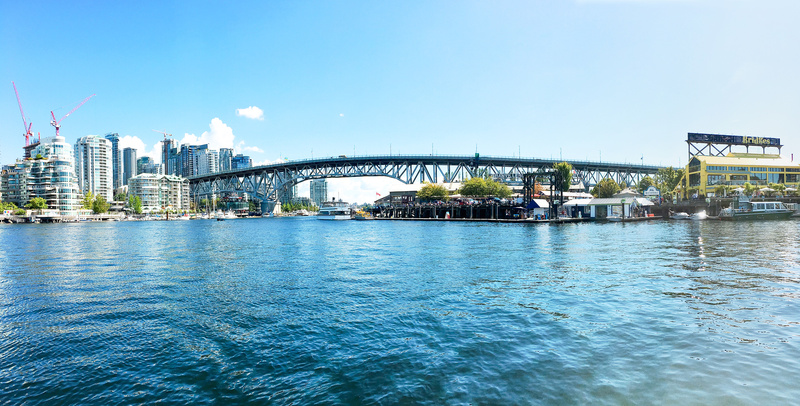 One thing I like to do is to take the Sea bus from Granville Island to Yaletown. This 10-minute boat ride takes you across the shore for a fair amount of $4.50 one way. 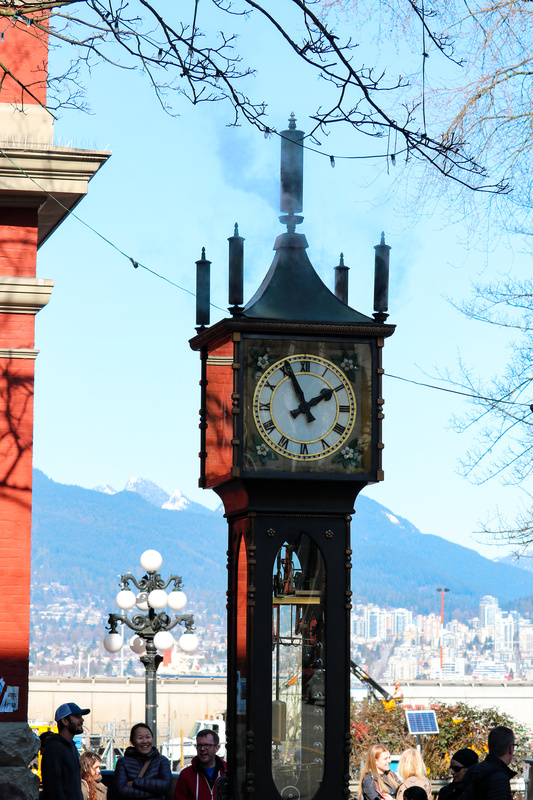 Once in Yaletown, you can enjoy a stroll through the streets while admiring the cachet of the buildings. I highly recommend planning some time for shopping at The Cross, a highly curated home store that’s good for the soul, but not for your wallet. You should also stop by Mister, for a homemade ice cream whipped in front of you! Or try out the delicious sushi at Minami restaurant and why not having a beer at the Yaletown Brewing Company. 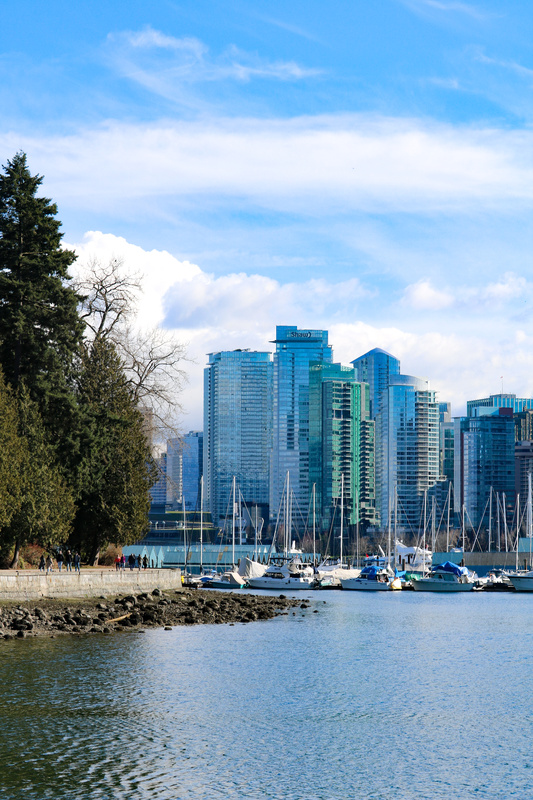 There are many options to fill you up or simply for a snack and a drink in this charming neighborhood of Vancouver. This super green and massive park is located in North Vancouver. 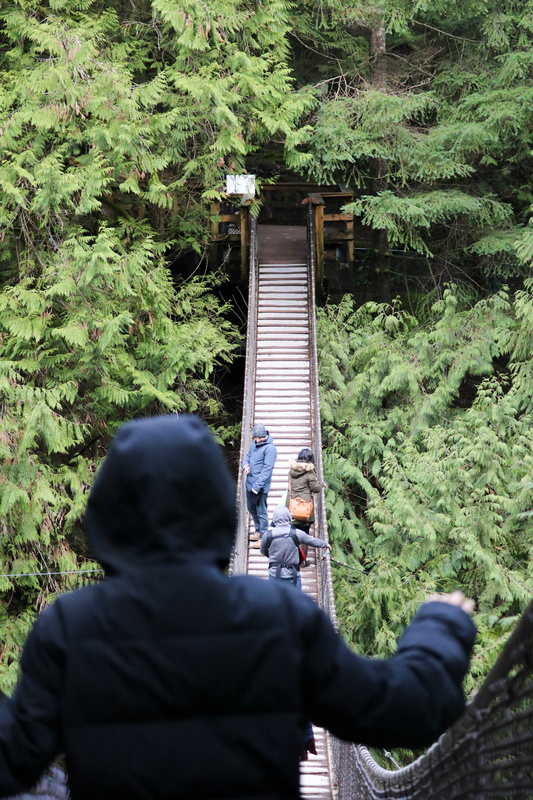 It’s also the free version of the Capilano suspension bridge. There you go! You just saved 20$ and you had an unforgettable experience! I love Lynn Canyon as once you’ve crossed the suspension bridge (which could be somewhat scary if you’re scared of heights), there is a beautiful waterfall to admire under the bridge and once on the other side, there is a path in the woods that takes you around a part of the rainforest (it takes about 45 minutes to 1 hour). If it’s summertime, you can enjoy a swim by the waterfall (be careful as some spots are safer than others). 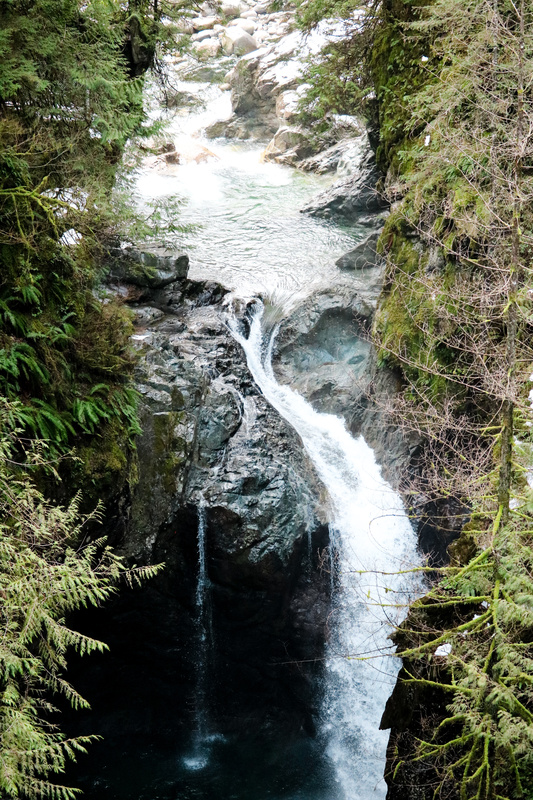 This cove located in North Vancouver is a must-see. The houses are overlooking the cove, there are small boats on the water and the massive mountains in the background makes the view incredible. It’s serene and relaxing to see, and it reminds me of some parts of Italy. 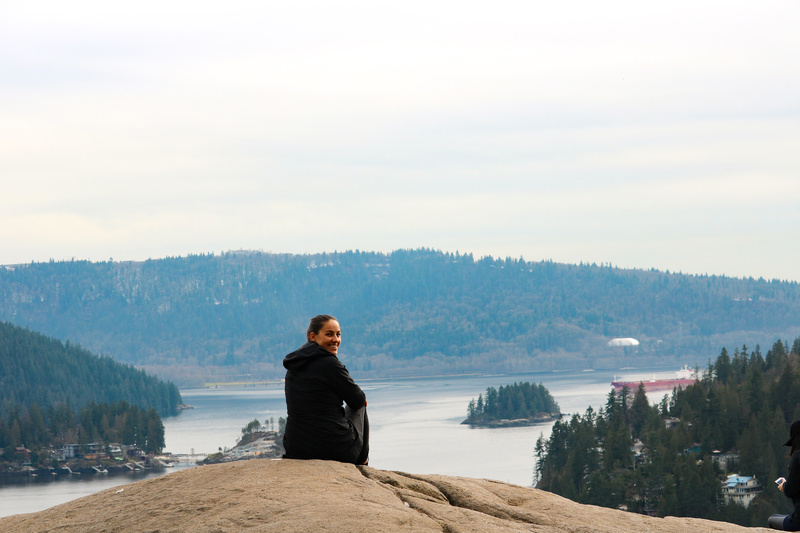 A few minutes away from the cove is Quarry Rock. A steep mountain hike of one or two hours, depending on your fitness level. The path leading up to the mountaintop is so beautiful, as the trees are tall, large and covered with green moss. Once you get to the top you can see the breathtaking view of the cove and of the city far behind. It’s the perfect time to enjoy some chill time on the large rock! 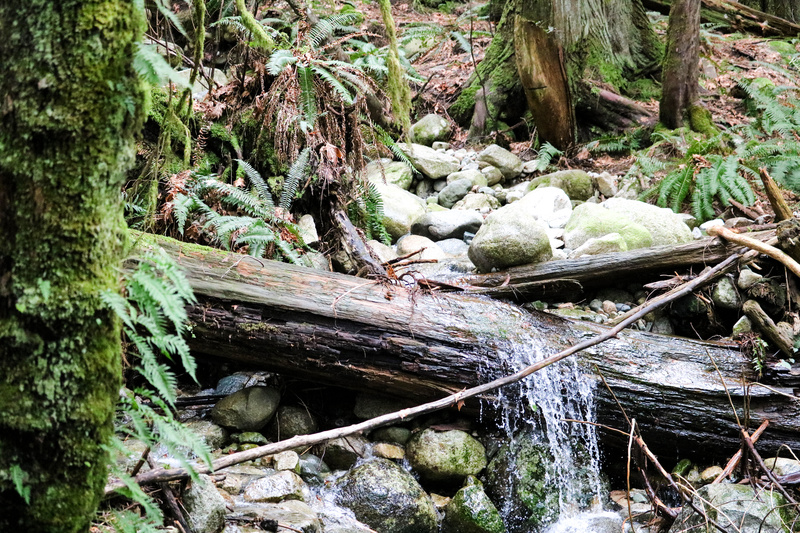 One of Vancouver’s must-see, mostly if you’ve rented a car while visiting the city. 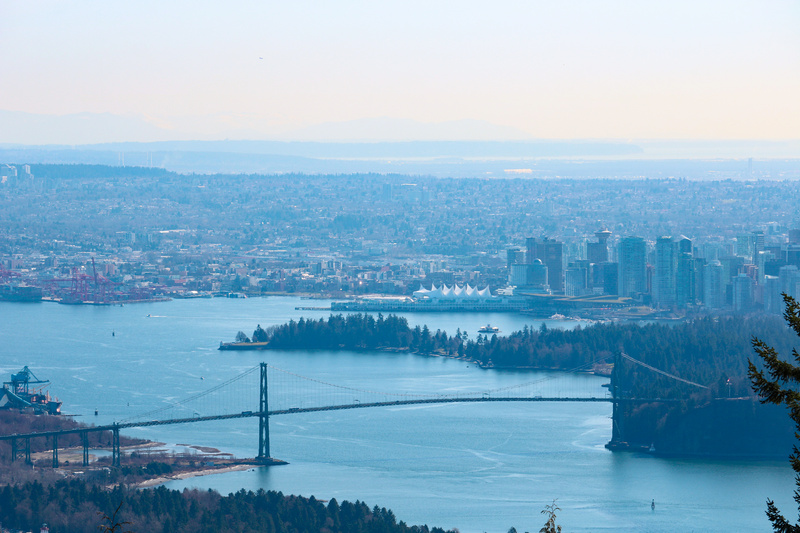 Make sure to go on a sunny day, to have an awesome view of the city of Vancouver. Plus, when it’s sunny you can see out for miles. It’s breathtaking!